Rotork has increased its range of flow control products and services for the worldwide marine and offshore industries with the acquisition of Masso Ind s.p.a., an established and respected manufacturer of innovative shipboard valve remote control systems (VRCS). Designed for critical safety applications, Masso VRCS solutions encompass hydraulic and electro-hydraulic systems that are compatible with most integrated automation systems (IAS). 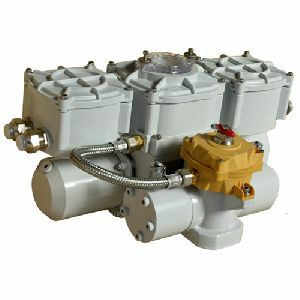 The Masso product range also includes hydraulic quarter-turn and linear actuators, hydraulic power packs, solenoid cabinets and electro-hydraulic actuators for shipboard applications.